Norwegian Foreign Minister Børge Brende was roundly criticized this week after his delegation at the United Nations refused to vote on two UN resolutions against nuclear weapons and voted against a third. Opposition politicians and anti-nuclear activists were disappointed, but not surprised. Ersfjord, writing in newspaper Dagsavisen, pointed to the fact that Norway itself organized and hosted an international conference in Oslo just two years ago, to discuss the catastrophic humanitarian consequences of nuclear weapons if used. A few months later, 125 countries including Norway supported a resolution that clarified the humanitarian consequences, and expressed that use of such weapons is unacceptable in any situation. Aiyar was a member of the Indian government’s expert panel on disarmament and worked hard to get his government to take part in the Oslo conference in 2013, which laid the framework for the three resolutions that Norway has now won’t support. 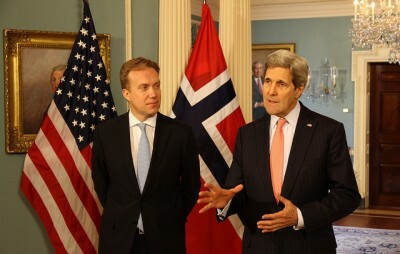 He noted that Norway had started and helped finance the process that led to great international debate over the humanitarian consequences of nuclear war. He claimed Norway must resist the pressure put on it by the US and Russia, and hoped it would return to its original anti-nuclear position. Brende rejects both the domestic and international criticism after an overwhelming majority of other UN member nations voted in favour of the resolutions earlier this week. He claims that Norway can’t vote for a ban on nuclear weapons because that would be at odds with its obligations as a member of NATO. A ban, he told news bureau NTB, would violate NATO’s “strategic concept from 2010″ that commits NATO to being a nuclear alliance as long as there are nuclear weapons.” For now, he claims, nuclear weapons are a “central element” of NATO’s defense strategy aimed at frightening potential opponents. “Therefore no member of NATO could vote in favour of these resolutions,” reasoned Brende, who claimed the resolutions “polarized” UN members. 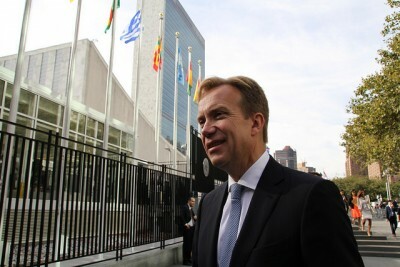 Brende also denied that Norway, or his own Conservative Party, has changed its position on nuclear weapons. He claimed Norway “shares the impatience in getting new concrete results from the work to reach the goals of a nuclear-weapon-free world.” The Norwegian delegation acted as it did late Monday night only because it disagrees with the process in reaching such goals. Others remained disappointed. Norway’s performance at the UN this week made the country look like “a highly unreliable cooperation partner,” said Grethe Østern of the humanitarian organization Norsk Folkehjelp (Norwegian People’s Aid). Ersfjord of the anti-nuke group urged the Parliament to “unveil the government’s bluff” on nuclear issues, while Dagsavisen editorialized that Norway needs to show “more courage” in pursing its stated goal of a world without nuclear weapons.